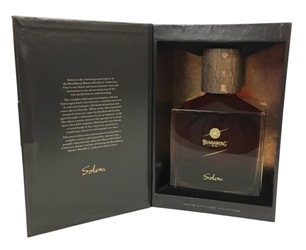 Bundaberg Rum Solera is the award winning Solera release from the Bundaberg Rum Distillery. A rich, bold rum, with notes of vanilla, fruit cake and butterscotch, this is a must have for Bundaberg Collectors and Rum Connoisseurs alike. The complex Solera process takes the oldest and most mature Bundaberg Rums that are in existence and blends them further in vat 36 which, abiding by the Solera cask rules, is never less than half full. Presented in a classy display box, this the pinnacle of the Master Distillers Collection.